The Hyundai Elantra GT offers two trim levels for you to choose from. At Victorville Hyundai, we’ll show you what the trims have to offer. 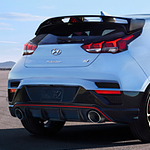 You’ll quickly see why this is a popular hatchback to own. There’s the GT and the GT Sport. The Sport is the higher of the two trim levels, offering a turbocharged engine, more standard safety features, and leather seats. A few added exterior features are also present on the Sport, including 18-inch alloy wheels and LED headlights. 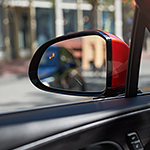 At Victorville Hyundai, we're ready to show you the uniquely comfortable 2019 Hyundai Accent and explain your different options. When you need a subcompact vehicle that has everything you need for driving around Victorville, the Hyundai Accent could be for you. You'll have plenty of space to carry your groceries with 13.7 cubic feet of trunk space. The split-folding rear seats make it easy to carry awkward and long items while still having enough seating for your passengers. Add on a hands-free powered trunk lid if needed. 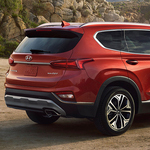 When you look at the 2019 Santa Fe at Victorville Hyundai and read about the specs, one thing that you are going to notice is that it is going to have a couple of surprising features to it. The 2019 Santa Fe has been designed with a lot of attention being paid to the performance of the vehicle. Probably every driver has experienced that sinking feeling when going out to start their car and discovering a puddle of liquid seeping underneath it. 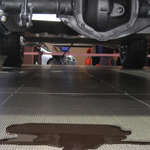 There are several liquid-filled systems that play their part in your engine's performance, and any one of them can spring a leak, possibly leaving you stranded. 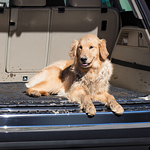 Traveling with pets can be a fun experience for you and your pet. Unfortunately, many pet owners don’t look beyond the enjoyment to realize the danger if it’s not done safely. At Victorville Hyundai, we want your travels to be as safe as they are fun for you and your pet, so we’re happy to offer you some safety tips. • Let your dog sit in the front seat. • Feed your dog while traveling. The Hyundai Kona is a popular small SUV that offers all the amenities of an SUV with the comfort and economy of a small car. 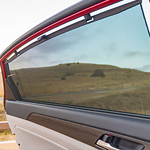 You’ll love everything about the Kona, especially its many top safety features. At Victorville Hyundai, we want to you to be aware of all the features you’re getting with the Hyundai Kona. 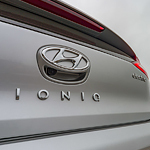 They Hyundai Ioniq Hybrid is a popular hybrid car that not only looks great and performs even better but also a car that is filled with state-of-the-art technology. In keeping with Hyundai’s tradition of making safe cars with fantastic warranties, they’ve now exceeded our expectations with the Ioniq. Stop at Victorville Hyundai and check it out for yourself.